The entire 2019 season of Dining on the Ocean Floor is SOLD OUT and the wait lists are full. Please join our DOF email notification list on our website for news about the 2020 season. Experience the ultimate culinary adventure at the site of the world’s highest tides. 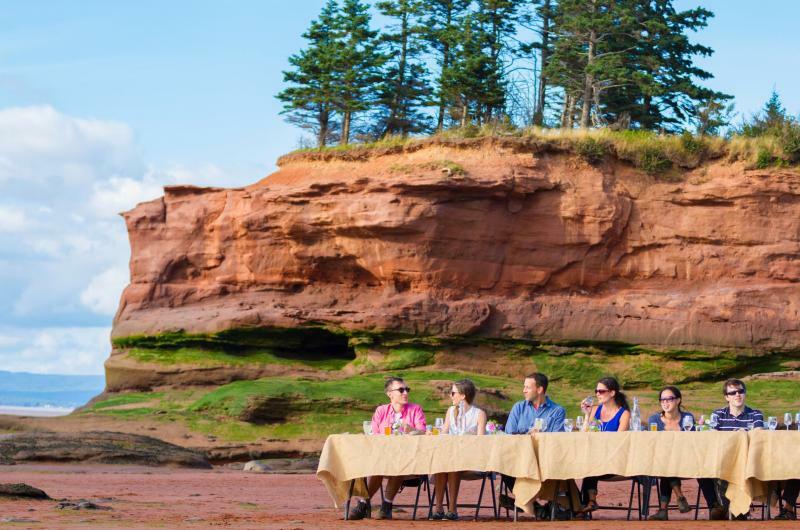 Savour the best Nova Scotia food, beer and wine in this exceptional experience. 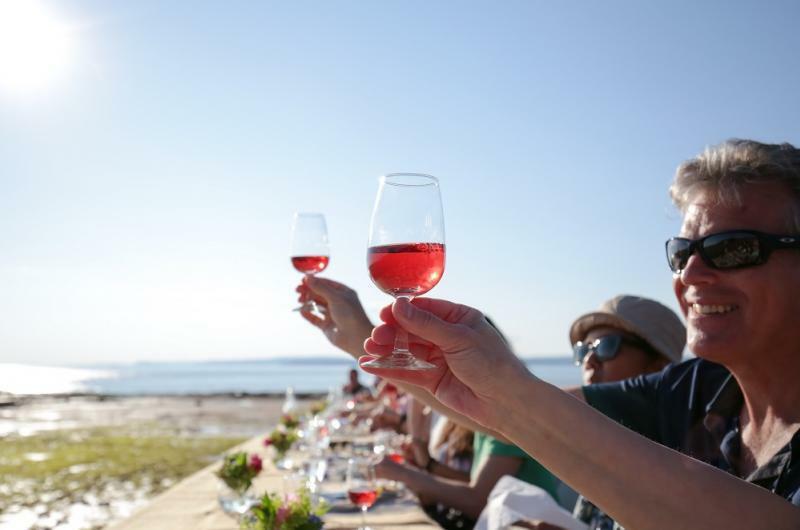 Begin by learning about the wild edibles of Nova Scotia, followed by a lunchtime seafood feast where you meet the Chef and enjoy beer and wine pairings. 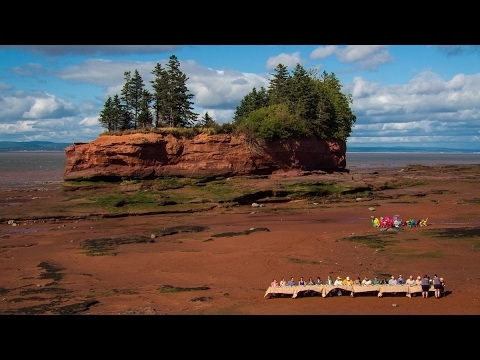 Enjoy a guided tour of the ocean floor, then take a seat at a dining table with a view of the incoming tide for an intimate 3-course dinner on the ocean floor; all followed by an ocean floor campfire. 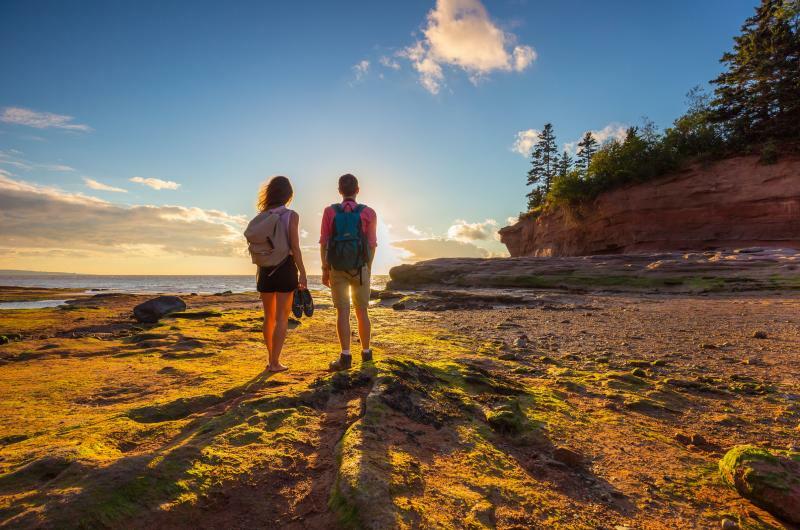 Your adventure takes place at Burntcoat Head Park on the Bay of Fundy, declared one of the Seven Natural Wonders of North America! Grab your rubber boots and your camera as you set off on your incredible experience. 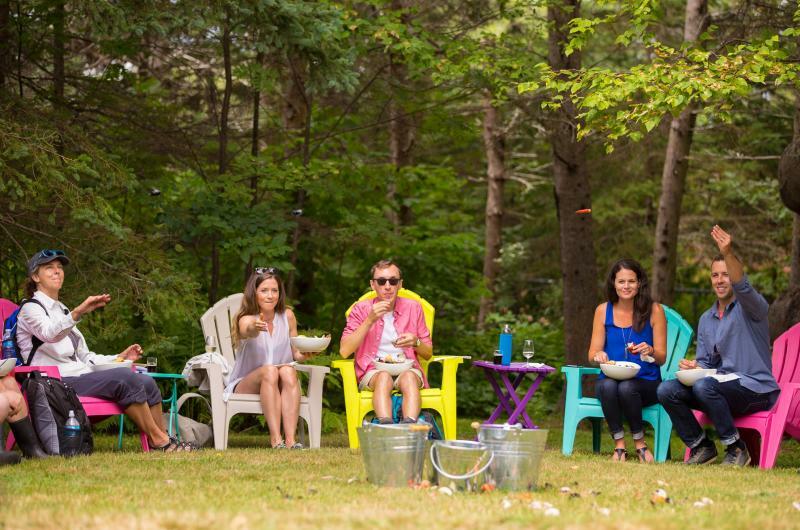 Learn all about Nova Scotia edibles with local forager Jonathan Newell; you will see, touch and taste local wild edibles and learn about the edible plants in the park. 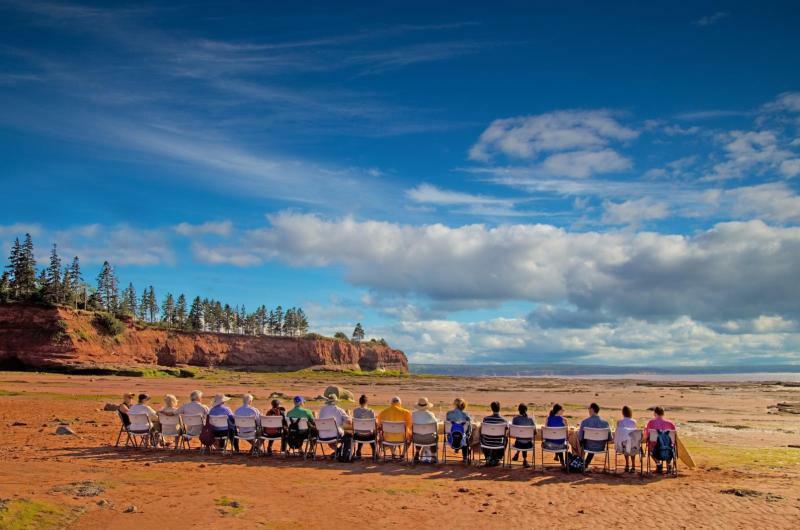 Next you will enjoy an afternoon seafood feast atop the red rock cliffs. Brimming with the freshest Nova Scotia sustainable seafood, your meal will be paired with local craft beer and Nova Scotia Tidal Bay wine. After lunch, you’ll be led on a private tour of beautiful Burntcoat Head Park. Walk down the stone stairs to the ocean floor to see fossils, tidal pool creatures and the impact of the powerful tides on the coastline. During the tour, the tide will ebb to its lowest point and begin rising again. As the tour ends you will be guided to the ocean floor dining room and your seat with an amazing view. Looking up at the high tide marks on the surrounding cliffs and island, you’ll be awed knowing that the area will be covered in 50 feet of water in less than 6 hours! Chef Velden and his team will indulge you in a three-course meal featuring the best local ingredients and paired with local wine and craft beer. After you finish your amazing meal, you’ll head over to a campfire on the tidal flats to enjoy tea, coffee, and a beautiful view of the incoming tide. 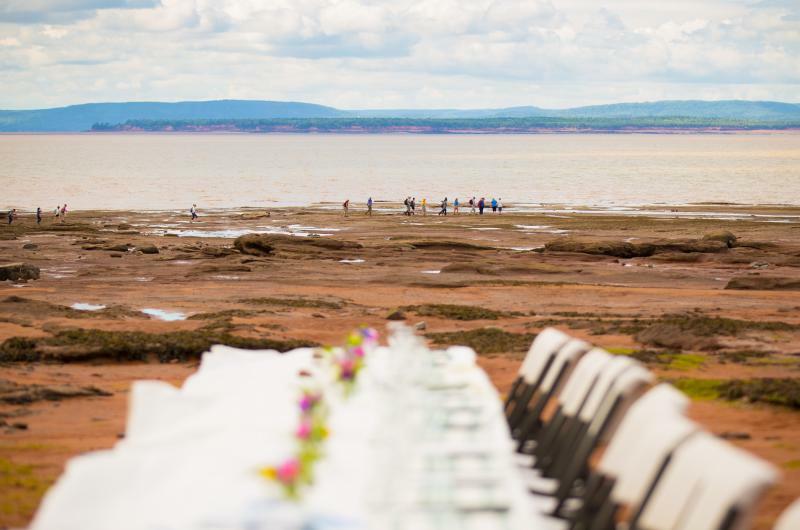 Lunch Course – Shore Boil: a bowl brimming with fresh, sustainable Nova Scotia seafood cooked in Tidal Bay wine. 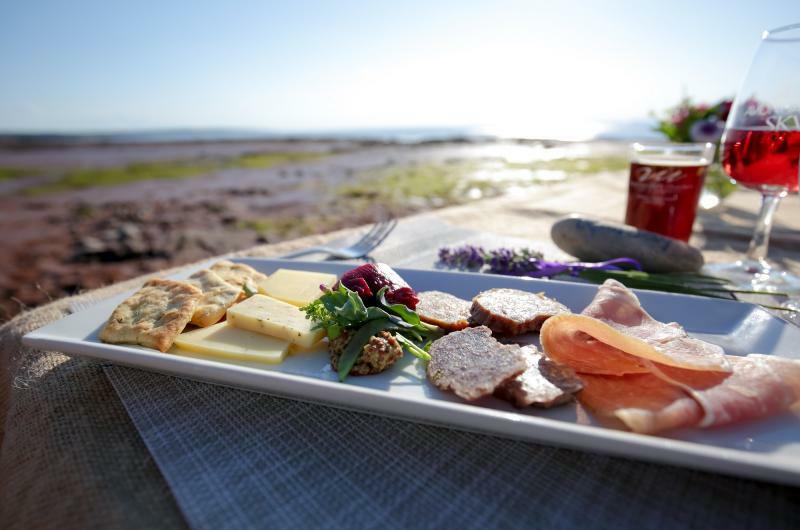 1st Course – Celebration Plate: Selection of fine Nova Scotia cheeses, charcuterie hand-made by Chef Velden, Flying Apron pickles, and artisanal crackers. 3rd Course – Sun and Moon Meet: Fresh local berries, lavender phyllo and Grand Marnier mascarpone cream. Craft beer and local wine pairings are served with each course. Organic, fair-trade tea and coffee are served at the campfire. 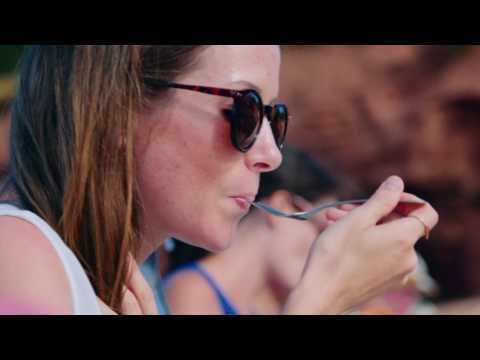 Click here and here to view great videos of the #diningontheoceanfloor experience. 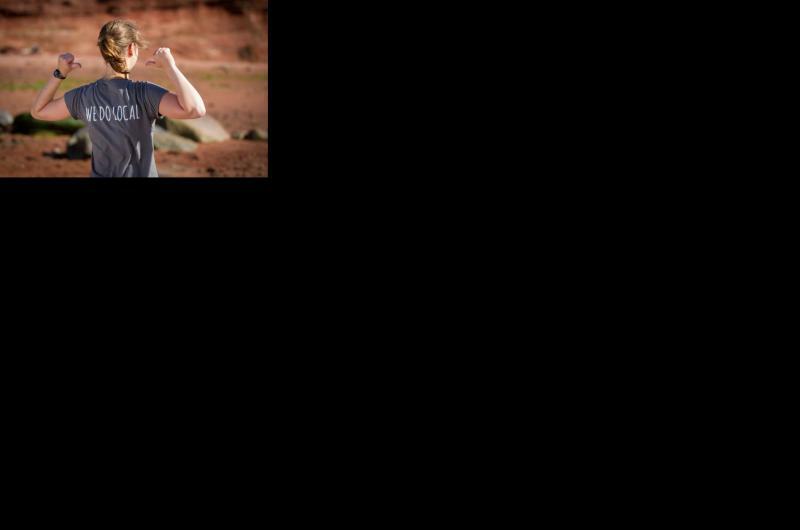 21 days before the event. Dining on the Ocean Floor is a rain or shine with the exception of severe weather. Guests must be available for both the event date and the back-up date (the next day). Please see our FAQs for detailed information on the experience, cancellation policy, weather policy and what to bring with you.